By day, Salt&Sea operate as a cafe and bistro with cooked breakfasts and substantial lunches. But for select evenings on Friday and Saturday, as well as one off events, the menu changes to a very different style reflecting more of what chef and owner, Ross Pavey, is about. 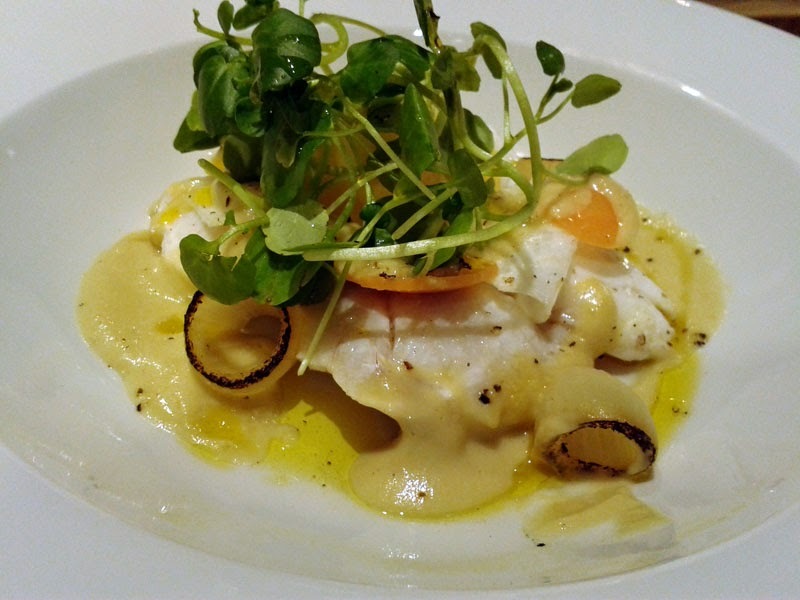 He has formerly worked in the kitchens of Moonrakers in Alfriston, The Griffin in Fletching and South Lodge in Lower Beeding so clearly knows how to cook more than Eggs Benedict with suppers including Olive oil poached fish and 8 hour roasted shoulder of Sussex lamb. I came along to the first of a new concept for them, a small plate fish dinner where you can order plates as you fancy. I don't know what I was expecting but I certainly left very impressed. Some of the fish dishes would blow a few of Brighton's best fish restaurants clear out of the water. Starting with the salmon ceviche, this had a fantastic heat in the shallot and peppercorn dressing, lightened by the citrus creme fraiche. A really great start, by far one of the nicest ceviche I've tried. I have a really acidic palate, eating jar after jar of pickles as a kid (still do!) and the chef is on my wavelength here. Soft, gentle pillows of cod cheeks were given a sharp textural contrast with paper thin slithers of pickled swede and turnip and layers of pickled onion with a mellow onion cream. The balance was spot on and the pickles didn't over power. I liked the attention to griddling the onion layer edges so the dish didn't look too pale. 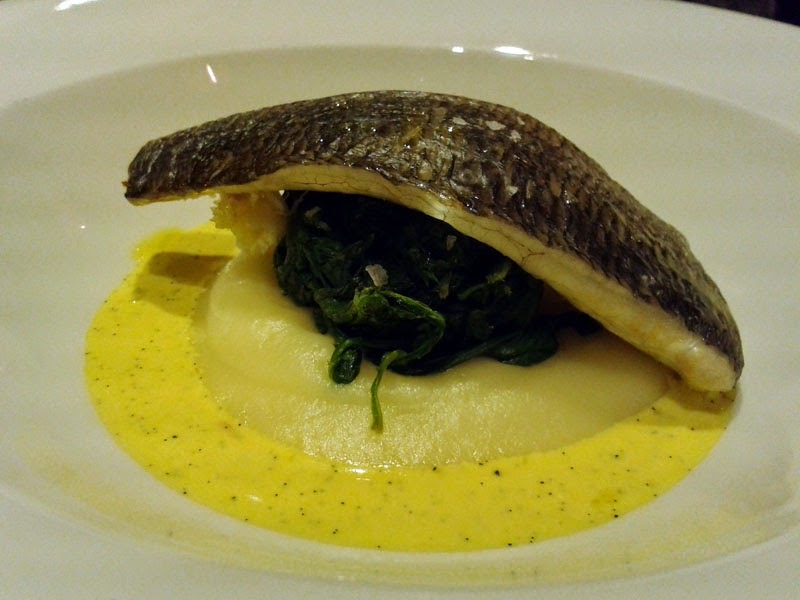 My dining partner's favourite dish was the bream with a velvety parsnip puree and vanilla and saffron sauce. Personally, I've not been much of a fan of the vanilla in savoury dishes trend but here it added a luxurious edge by enhancing the sweetness of the fish. 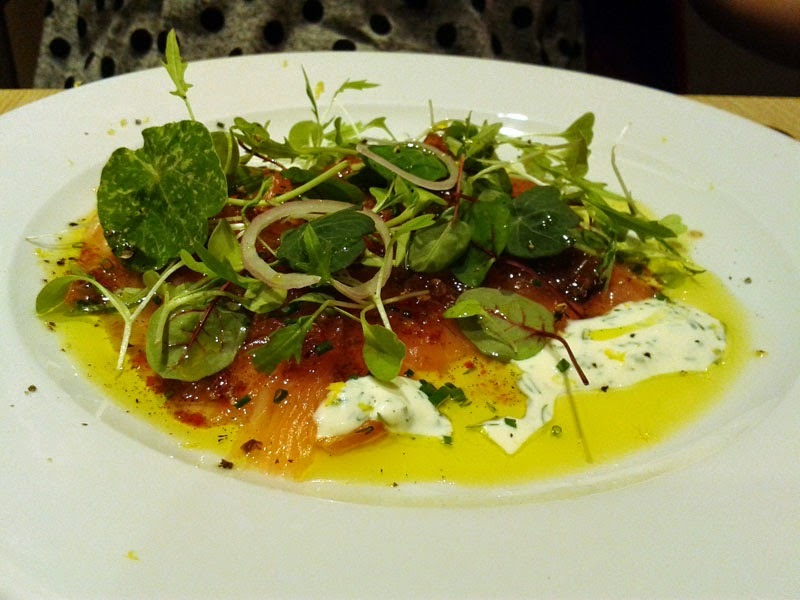 Also good was the salmon served classically with dill and a little caviar with an unusual addition of whey. 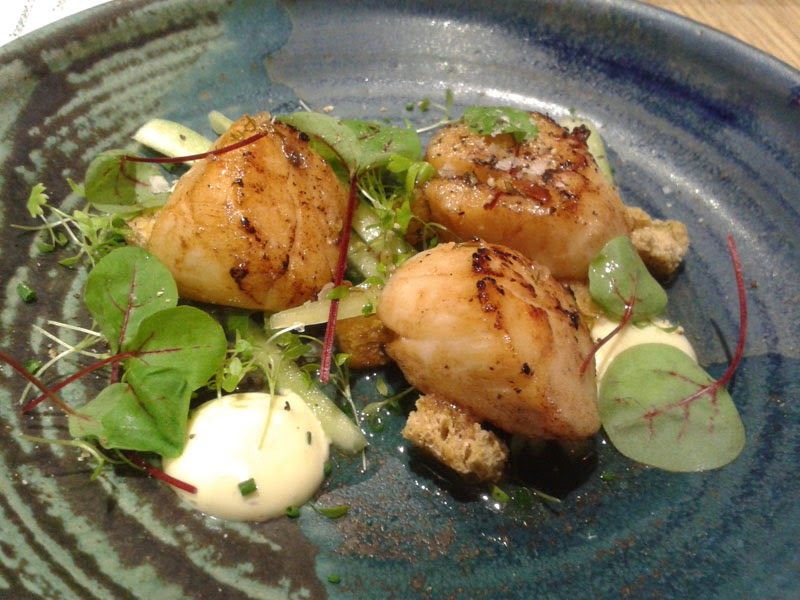 We finished with three fat scallops each, with thin strips of pickled cucumber and lime. The croutons did go a little soggy in the lime juice which is the tiniest of gripes after a line up meal like that. The desserts were equally as well crafted. The chocolate parfait (top image) rocked allotment chic (yes that's a thing) surrounded by perfect little beetroot, a chocolate soil and frozen yogurt. 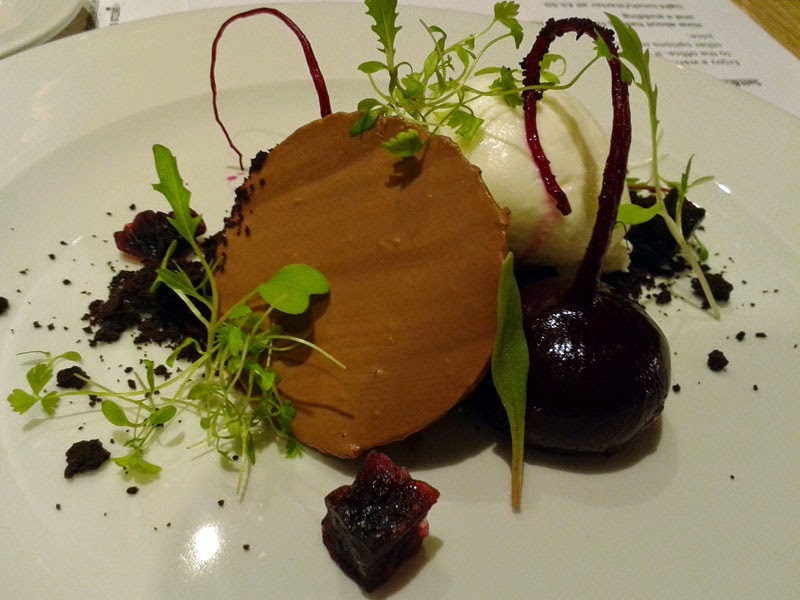 Stunning to look at but a treat to eat too, you can't go wrong with chocolate and beetroot in my book. My Rapeseed oil cake was more unusual and one if you are not particularly sweet toothed (me). 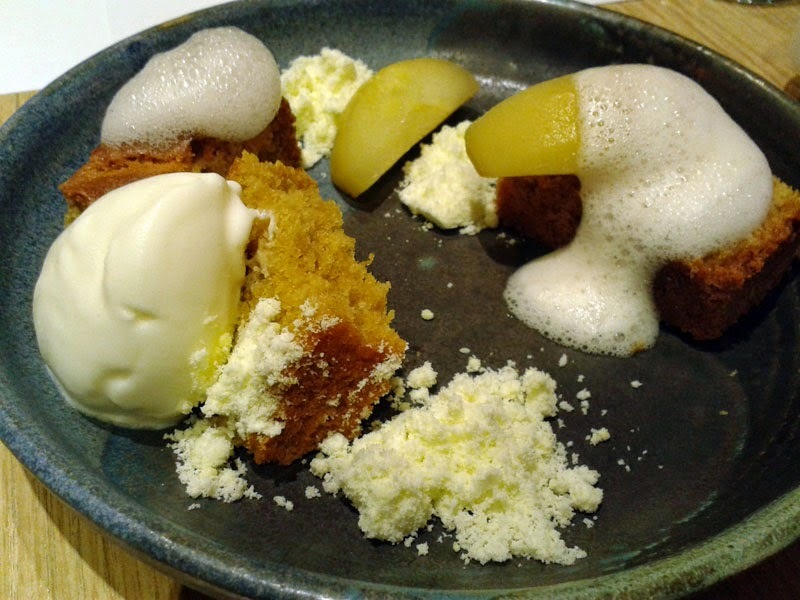 This was a really nice cake, good for carrying the flavours of the cider poached apple, cider foam and buttermilk ice cream. The powdered pine oil was something I don't think I've come across before which at first I thought was Coffee-mate (remember that 80s office workers?!). The individual plates ranged from £5.50- £7.50 which I think is ridiculously good value for the quality of ingredients and level of cooking. Maybe pitched to the prices people are willing to may in the area but certainly you would expect to pay more in Brighton. I really enjoyed my meal here and loved the style of elegant, sophisticated food which had enough clever twists and touches to make the dishes interesting but still something you relish in eating. Sometimes dining in the evening in places that are more suited to daytime food can be a little strange but the interior was lovely, a smart, beach hut theme with natural woods and soft muted colours. I was amazed that the food was created in the tiniest of kitchens and you can see Pavey single handedly making everything behind the counter. You can get to Salt&Sea from Brighton in just 30 mins by car or practically fall into the restaurant from the train station. So lesson learnt: some things are worth travelling for. Go. Find up and coming events via https://www.facebook.com/SeaSaltfoodanddrink or https://twitter.com/_SeaSalt_ or book a table for Friday or Saturday night dinner. I was a guest of Salt&Sea. Opinions, as always, are my own.